Killeen Police detectives are interested in speaking with a person about the Homicide on S. 56th Street. 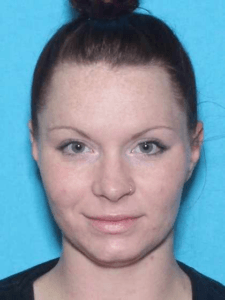 Detectives with the Killeen Police Department Criminal Investigations Homicide Division are interested in speaking with a Tarah Ann Nichols. They believe she has information that would be pertinent to the Homicide investigation where 22 year old Donte Javon Samuels, was found deceased in the front yard of a residence in the 300 block of S. 56th Street, on Thursday, December 22, 2016. Nichols is also possibly with her son, a 16 month old white male. Child Services is concerned for the welfare of the child due to neglectful supervision. Detectives are asking anyone who has information about this death or knows the whereabouts of Nichols to contact Crime Stoppers at 254-526-TIPS (8477) or go online anonymously at www.bellcountycrimestoppers.com. You can also download the app P3 tips for IOS and Android phones. All information is anonymous and confidential and if your tip leads to the arrest of the person or persons responsible for this crime, you could be eligible for a reward up to $1,000 in cash.